An invitation marks an important occasion. Only the best will do when it comes to printed invitations and announcements. 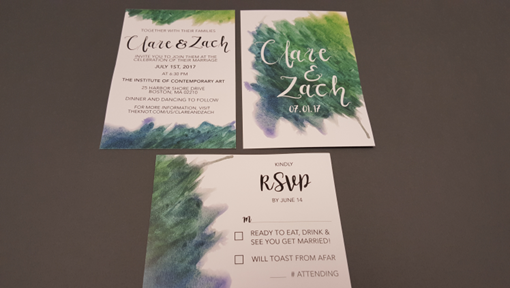 Start by choosing a professional invitation printing service to complete all of the printing for your invitations, RSVP cards, addresses, and meal cards. This way you can rest assured that everything will be above the grade. Invitations should be sized to correspond to envelope sizes so that they can be mailed. The size of the invitation should be less than the size of the envelope so that it can be inserted easily. Typical sizes are A2, A6, A7, A8, A9, and A10. 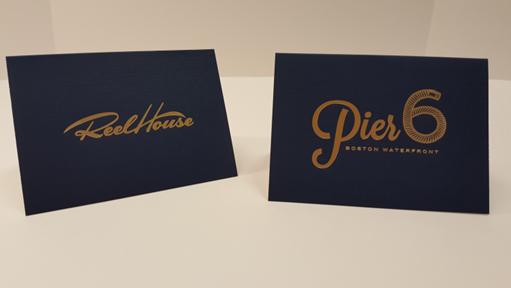 Professional invitations are usually printed on high-quality paper, and we can help you select so that you can also incorporate matching envelopes. Invitations can also be printed using raised ink for your formal occasions. We recommend that you take the time to proofread your content in order to check for spelling and grammar before sending it to the printer. Get another person to read over it if you are in a rush. Otherwise, leave the invitations in rough draft form overnight. Then the next day, with a fresh pair of eyes, read over the text. You are more likely to catch any glaring mistakes this way. Printed announcements are an elegant way to keep customers and employees up to date with special events in the life of your business such as trade shows, anniversaries, and ceremonies. 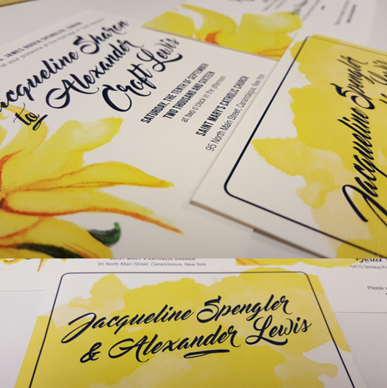 Please call or email us with inquiries about our custom invitation printing services.